This January, millions of people set resolutions for the New Year to eat better, exercise more, and build healthier bodies. By the time February hits, many of those resolutions fall by the wayside. One of the main reasons people fall short on their resolutions is due to not being realistic to their personal situation. Loosing 25lbs in 30 days or paying off all your credit cards in 12 months is not a reality for most people. Coincidentally, it’s one of the reasons people fall short on their financial goals.You end up feeling further stress and hopes deflated. You do not need to wait until January to start a fresh set of financial goals. Why not set some financial resolutions of your own for the remainder of the year? Below are some great starter financial goals everyone needs to have in their financial plan. Remember, when people are financially healthy, they stress less, sleep better, have stronger relationships, and generally live happier lives. 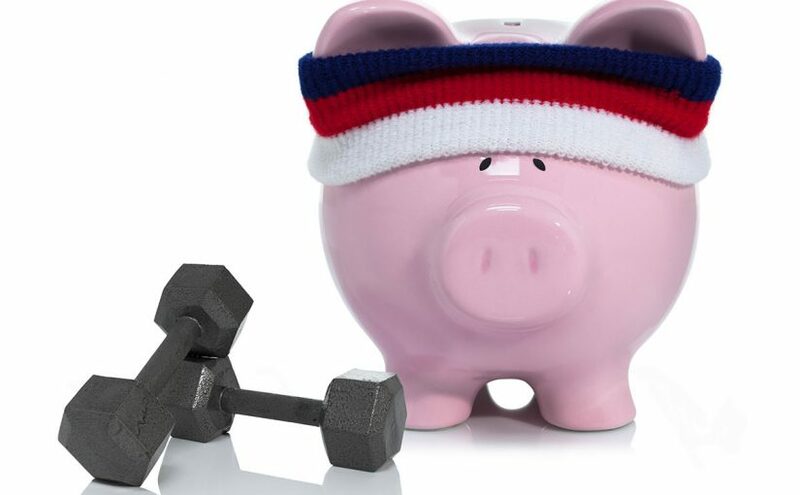 Financial health is just as important for your wellbeing as exercise. Emergency Savings Account – Everyone needs emergency savings for items that do not fall into your regular monthly costs. This is a common reason for creating debt. This could be car repairs, medication, trips to visit family or a new pair of sneakers your kids are always losing. Review your finances over the past year and see what type of unexpected costs you had.Everyone is different on how much they need for emergencies. Now try to build up an account to cover these costs. Consider setting up an automatic transfer to a savings account and stick to that number throughout the year. For most households a$500-$1,000 emergency account covers most unexpected expenses. Part of your goal is to use this account and not a credit card for the expense. Like with any goal, financial or otherwise, break it down into mini-goals. Look for creative ways to reach your targets, try new things, and keep it fresh. Spend Less Money – The best way to reach this goal is to track your expenses- yes everything from a coffee to lunch money for the kids. It’s the only way to figure out where you can truly save money.Take a personal audit on your spending and choose things that you’re willing to either go without or have less of, such as coffee, alcohol, and eating out. Just make sure you’re thorough in your auditing; consider everything. How much are you paying in ATM fees? Are you going over in cell data? You’ll be surprised at what you’ll be able to find when you take the time to review all your spending. From finding ways around your house to cut energy costs, to trimming cell phone or cable plans, all the way to putting in some effort to clip a few coupons or actively hunt for deals in the stores you shop in. Pay off a Credit Card or Loan – Look at all your debt. Consider the monthly payment requirements, interest rate charged, and any terms applied to the loan. Is there a debt that would really help you financially if it was paid off? Remember you need to ensure all your debt is being paid their minimum payments. If you want to focus on one debt to pay off quicker, you need to increase your payments. Remember to be aware of interest charges and not using any available credit you create.The first step is to take your balance and divide it up into smaller chunks. Try breaking it down into how many pay periods you have in the year; most people have 26 pays. For example, if you owe $1000, break that down into 26 payments of $39. Then make it your resolution to automatically pay $39 every pay cheque. The next step to succeeding is preventing yourself from using that card for things you can’t afford. This is where your emergency savings and spend less goals will help you reach your goal of paying off your debt. Try to pay cash or interac for groceries, gas and your utility bills.Just remember, any new purchases on your card need to be paid off, and that $39 per pay doesn’t count towards new purchases. Another great step to finding financial wellness would be to seek help from professionals. If you can’t envision committing to even just one of the above, it might be time to look into professional guidance. Gaining the coaching and counselling from a professional could not only set you up for a great year, but a financially healthy future for years to come.